Get ready with a Q&A with Mr. K and take a trip way, way back to the Village in the 1970s. 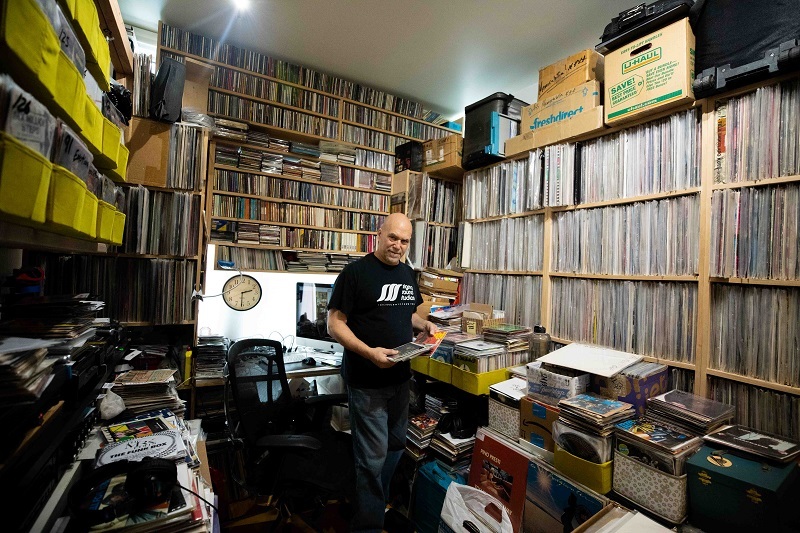 While Danny Krivit has been part of New York club scene since the '60s, Eric Duncan (of Rub'N'Tug) has made his mark on the underground parties of the '90s. Last time they played together at Le Bain (in January 2013), we asked Eric if he was up for interviewing Danny, and here it is. Enjoy the trip way, way back to the Village in the 1970s. ERIC DUNCAN: I have heard various stories about you over the years. Is it true you grew up in your family's bar? When and where was this? 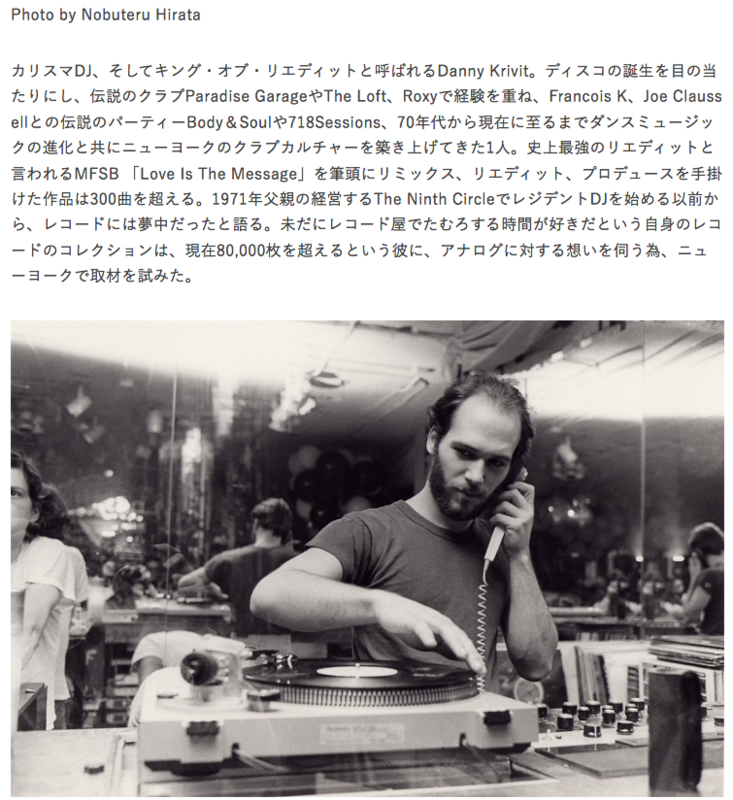 DANNY KRIVIT: I grew up in Greenwich Village, New York City, in the 1960s and I literally was surrounded by music. 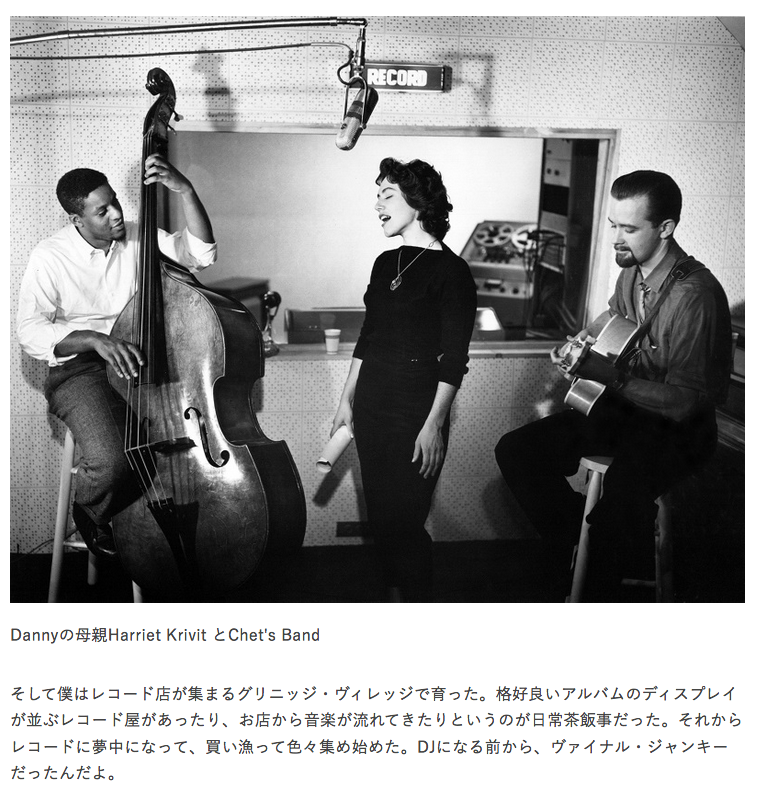 My mother was an accomplished jazz singer and my father was the manager of legendary jazz trumpeter Chet Baker before he went on to open up The Ninth Circle, a Village hot spot on West 10th Street just west of Greenwich Avenue, where I also worked as a boy. It was here that I met some of the most influential people in the music scene: Janis Joplin, Jimi Hendrix, Charlie Mingus, John Lennon, and Yoko Ono, amongst others. The Mothers of Invention lived down the hall from me, and Sid Bernstein (Manager of The Rascals) lived upstairs. The Rascals would regularly pop down to our house to practice most of their future hits on our piano. At school, a close friend and classmate of mine was Creed Taylor, Jr., son of Creed Taylor, the production genius behind many artists who recorded on the VERVE, C.T.I. and KUDA labels. I remember always hanging out at his house with his father trying to introduce us to his musicians, people like Freddie Hubbard, Hank Crawford, and Stanley Turrentine. I was maybe 11. I didn't really know who they were yet. When did you start DJing? Was it at The Ninth Circle? By 1970, another close neighborhood friend at that time, Nile Rogers, helped me pick out my first guitar, taught me a little to get me started, and said: “If you practice with that, you’ll be jammin’ in no time.” I didn’t practice. I was already a vinyl junkie and an amateur DJ and never really believed I could play guitar even close to the way he did, or like I was hearing on all the fabulous records I was into. 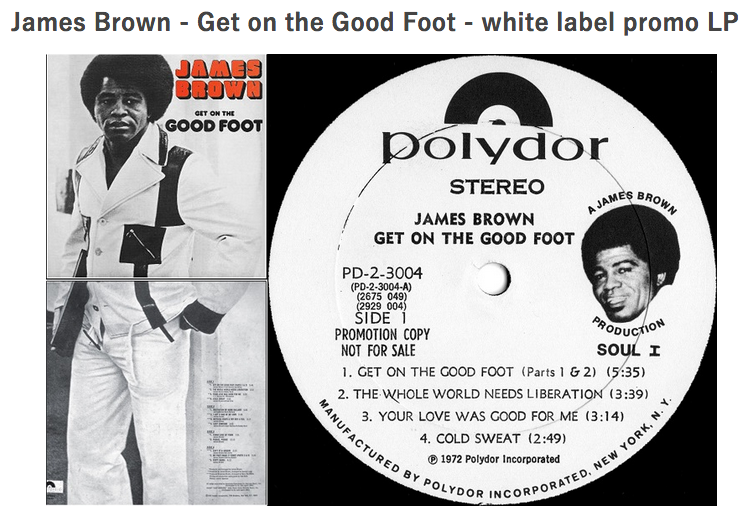 But DJing as a profession wasn't fully realized until 1971, after another neighbor/friend introduced me to one of his artists, James Brown, who gave me white-label advance promo copies of his “Get on the Good Foot” and “Think” by Lynn Collins. Around the same time, I started DJing and programming music for my father’s place, The Ninth Circle, which following the events of the Stonewall closing, had newly been transformed from a steak house into a disco. What was the equipment you were playing? Can you remember what sort of people were there? Were they dancing or hanging out? Hard to recall the exact equipment we were using back then, small names. It was very primitive. Huge problem keeping records from skipping with a full dance floor in an old Village brownstone. The crowd was mostly gay men, very downtown and funky. There were two floors: downstairs was the dance floor and upstairs was the bar and more of the social scene. Both floors were generally packed and very happening. When you were outside of the family business, how was it to be in the middle of this supernova of New York City's underground culture, music, sexuality, and art? I was only 14. It was difficult to get into many other clubs, but I remember my father taking me to places like The Electric Circus on St. Marks Place and The Dom (Andy Warhol’s club), which was directly under it. When The Dom closed, I bought their sound system for my house. I had nice neighbors back then. My father also took me to places like The Sanctuary, Hippopotamus, and The Haven. My friends and I would go to the Limelight (the original on 7th Ave), where David Rodriguez was DJing (which was very good), but we were all too young, especially as a group. So we would hang out outside next to the wall of the dance floor. The music would come through loud and clear, even the mixes. All of us would have our own party right there on the street on a Friday, and then come back and do it again on Saturday. I could easily get into live concerts, which I had already been doing a number of years. Seemed like I was at the Fillmore East every couple of weeks, and there I saw Santana’s first performance, Sly & The Family Stone, Jimi Hendrix, Big Brother & The Holding Company featuring an uncredited Janis Joplin, and tons of others. Who were the other DJs? I had really become a part of the downtown underground scene by 1975. 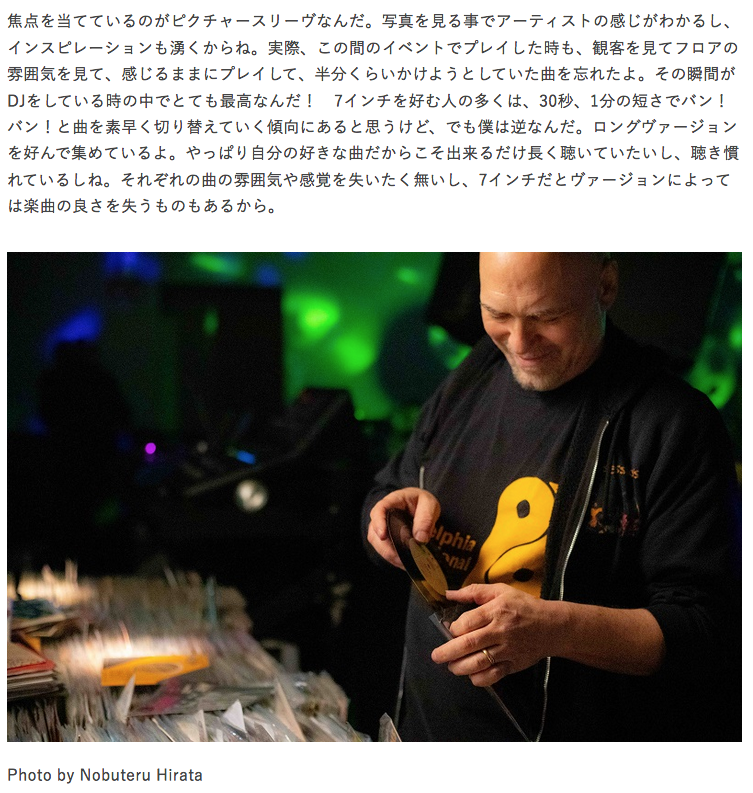 I club-hopped a lot, and I became close friends with some of the greatest DJs of all time, including Nicky Siano (of The Gallery), Walter Gibbons (of Galaxy 21), Tee Scott (of Better Days), David Rodriguez (of The Limelight), Richie Kaczar (Club Hollywood, before Studio 54), and Bobby DJ (of Le Jardin), amongst others. Clearly some of the best, but one in particular really stood out from the rest: DJ David Mancuso and The Loft. 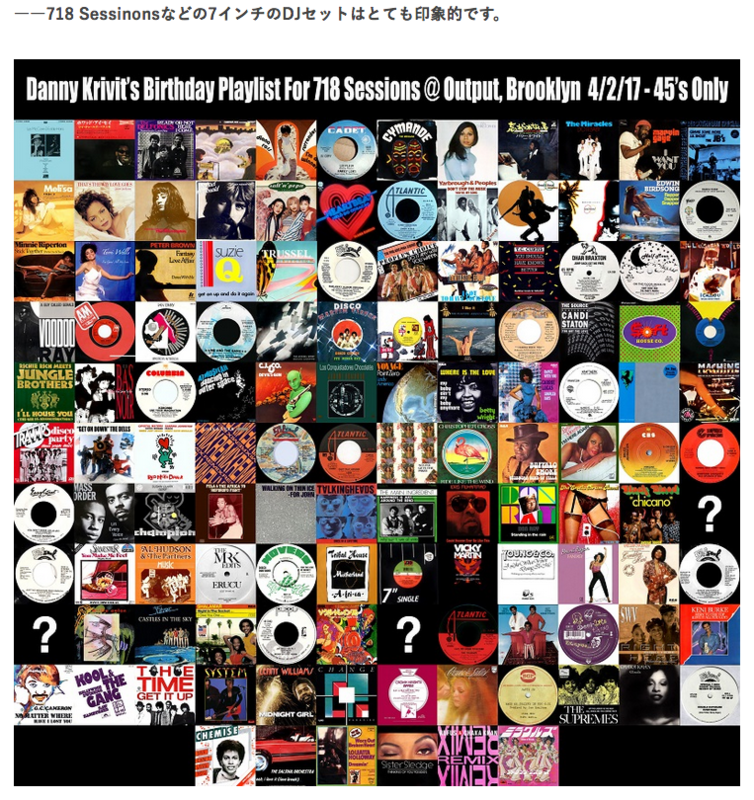 The Loft was like a musical center or Mecca for all of NY’s best DJs; a completely unique place and home of the original DJ record pool. This is also where I began my longtime friendships with DJs Larry Levan and Francois Kevorkian. Where were you DJing at that time? My father opened another club, (in a very early Tribeca) called Ones at 111 Hudson Street (about 2 blocks south of where the club Vinyl was). I was their only DJ through 1977. I was doing so well there that I opened my own after-hours club down the street. In 1977, I started Djing at Trude Hellers. I was also an avid roller skater, and my girlfriend at the time and I would regularly skate over to the Paradise Garage, where Larry would let us skate around the club while he would check out some of the new records that week on the sound system. The Garage remained my main stomping ground until it closed in 1987. What kind of music was being played? What did it smell like? How late did it go? Take me there. Set the scene for me. This was clearly a golden era for great music, DJs, clubs, artistic freedom, and the leisure time to enjoy it. No Internet, no social networks, no cell phones, no YouTube. You only could hear this music in the clubs and everybody was going out, all without a been-there-done-that chip on their shoulders. In the peak of the '70s, NYC had over 4,000 cabaret licenses, and a whole slew of clubs without them. All the clubs were packed, all the time. The scene was that big and growing. Today, NYC has about 40 cabaret licenses and the clubs that have them struggle to survive. The real estate market also plays a big part in this. Before the '80s, Greenwich Village (the poster child for the 1st co-ops) had a big prison right in the center, The Women's House of Detention. Rents were very low. For a century, artists and musicians flocked to this area. In 1962, when my father rented the building for The Ninth Circle, he got a 33-year lease for a three-story brownstone with two basements and a backyard, in the heart of the Village for $540/a month rent! The landlord was happy he had a tenant for 33 years. Now you're lucky to get a parking space with a one-year lease for that! Let's go back to the early '70s. What were you playing at that time? 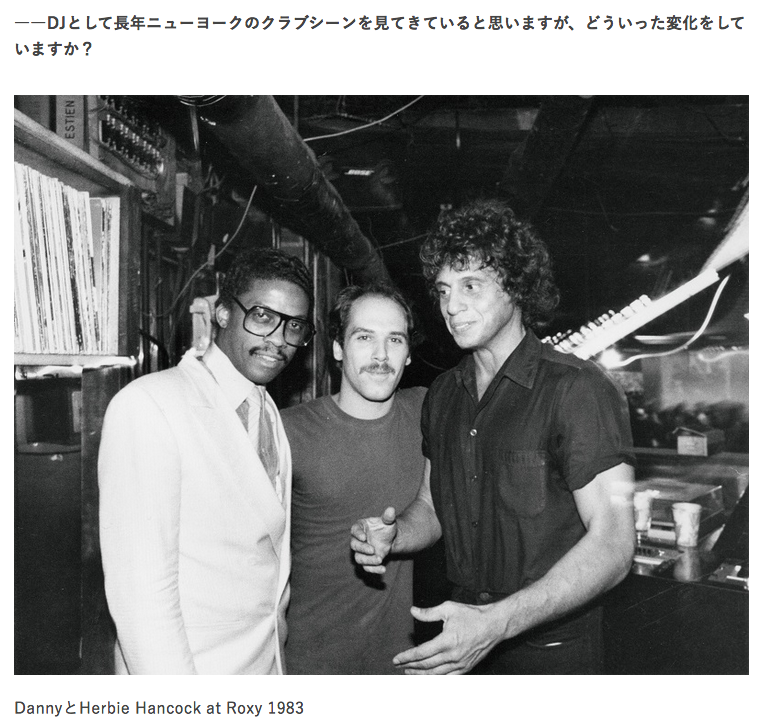 Eric Duncan interviews Danny Krivit for The Standard Hotel Culture Blog.